In today’s rumor rundown we look at the inevitable buyouts that happen every year in the NHL. We’ll also see if there is real interest in moving Ryan O’Reilly, if the Golden Knights might want another shot at Erik Karlsson or if they have their sights set even higher and a few notables from Elliotte Friedman’s “31 Thoughts”. There are hockey writers in the industry starting to compile lists of players who are strong potential buyout candidates. Jared Clinton of The Hockey News is reporting the San Jose Sharks will look to buy out defenseman Paul Martin, saving the club $2.83 million in salary cap space this season. The idea is that the Sharks might set their sights on John Tavares or make room for Ilya Kovalchuk who they met with this week. He also listed, Troy Brouwer (Calgary), Braydon Coburn (Tampa), Tyler Ennis (Minnesota), Jori Lehtera (Philadelphia), and Brooks Orpik (Washington) as names to watch for. He believes Orpiks is a certainty as the Capitals will need to clear space (Orpiks is $3 million) to help with pending free agents Tom Wilson, Jay Beagle, Devante Smith-Pelly, Michal Kempny and John Carlson. Craig Hagerman of theScore had his own list of buyouts ready to go on Monday including pretty much one player from every team. Among the names he included where Brandon Saad (Chicago), Jason Spezza (Dallas), Nick Bonino (Nashville), Corey Perry (Anaheim), Tomas Tatar (Vegas), Brandon Dubinsky (Columbus), Marc Staal (New York), and Karl Alzner (Montreal). 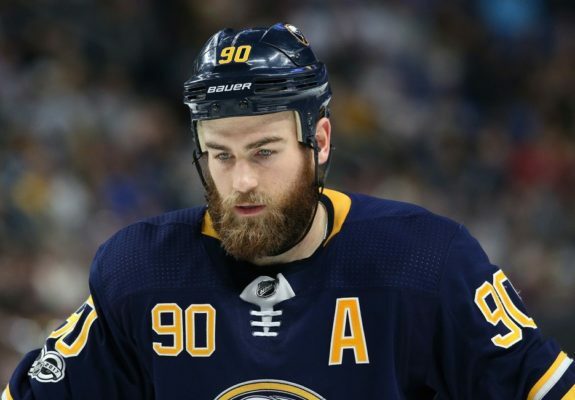 Mike Harrington of the Buffalo News has noted that many are thinking the Sabres will trade forward Ryan O’Reilly by the NHL Entry Draft. Harrington thinks it could just be a rumor but the talk is getting louder and louder. He suggests from a roster standpoint, it doesn’t really make sense to move him at this point. Since the Sabres will likely have Rasmus Dahlin and Casey Mittelstadt in their lineup next season O’Reilly would be a useful leader and veteran presence who could eat minutes and take key faceoffs. Despite his high salary and the comments he made to close the season, there are still many teams who would be interested in acquiring O’Reilly. Speculation is that the Vancouver Canucks and Carolina Hurricanes are interested. The Sabres might be better off moving Sam Reinhart or Rasmus Ristolainnen that O’Reilly but from the sounds of the chatter, the Sabres may be active despite having the first overall pick in this year’s draft. Vegas a Hot Spot for Free Agents? 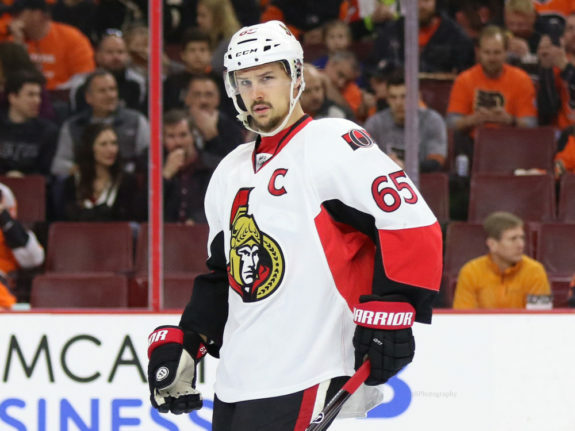 In his latest “31 Thoughts”, Elliotte Friedman wondered if the Vegas Golden Knights might circle back to the idea of landing Ottawa Senators defenseman Erik Karlsson. Friedman called Vegas a destination for a number of big-name free agents and that players are asking their agents about going there. The team also has lots of cap room to take on some big tickets and have been linked to John Tavares, having interest in John Carlson and knowing that there are a lot of options out there for them since they are not prone to the same NHL Expansion rules as every other team. Karlsson was on their radar back at last year’s NHL Trade Deadline but nothing materialized. Friedman said the reason was Vegas not wanting to include Cody Glass in the deal. If Ottawa sees Karlsson turn down whatever offer they make him on July 1, they may look to trade him. When it comes to the current players on contract who might need to be re-signed in Vegas, Friedman suggests UFAs like James Neal and David Perron would need to stay within the range of Jonathan Marchessault and Reilly Smith ($5-million annual cap hit) or the club might let them leave. William Karlsson falls into that category as well. Perron may only get a short-term offer. What’s interesting to note here is that people are suggesting there could be some major changes in Vegas which is rare considering how much success the team had this past season. Rumors that Milan Lucic requested a trade out of Edmonton are apparently not true but he is working the with the team to see if there is interest around the league for him. One of the things pointed out was that if he’s traded before July 1, the Oilers will not have to pay his $3.5 million bonus for the 2018-19 season. The Chicago Blackhawks are rumored to be looking at trading retired Marian Hossa’s rights to clear up cap space this summer. Friedman also believes the Montreal Canadiens will be busy and moves could include a sign-and-trade with Max Pacioretty or some interest in Columbus Blue Jackets’ defenseman Jack Johson. The Pittsburgh Penguins have “legit interest” in Arizona Coyotes winger Max Domi. The Islanders could have interest in either Philipp Grubauer or Detroit Red Wings goaltender Jimmy Howard.